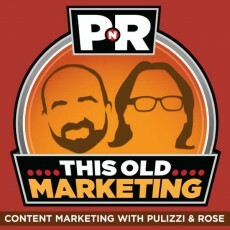 In this episode, Robert and I discuss TopRank’s new series of content marketing best practice eBooks, take issue with one author’s claim that content marketing can’t work in associations, and share our observations on the success of Adidas’ awesome World Cup content marketing campaign. We also talk about Instagram’s fast-growing engagement numbers, how “dark social” may be affecting your ability to accurately measure content impact, and chuckle about John Oliver’s funny take-down of native advertising. This week’s #ThisOldMarketing example: The AOPA, an association which, coincidentally, is doing an outstanding job of content marketing. 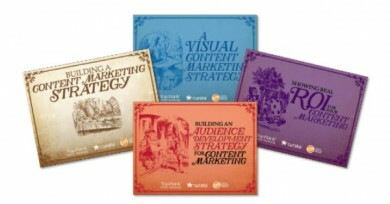 CMI Partners with the TopRank Blog (3:59): CMI has partnered with Lee Odden and his team at the TopRank Online Marketing Blog to produce a series of four eBooks, which will be rolled out in the weeks leading up to Content Marketing World 2014. The first, Building a Content Marketing Strategy, includes advice from some of the top thinkers in this space. In keeping with the “Beyond Storytelling” theme of this year’s CMW, the eBooks are built around one of the most imaginative stories of all time: Alice in Wonderland. Watch for a new eBook each Monday for the next three weeks. Why Associations Are Failing at Content Marketing (5:09): In her post on the SocialFish blog, Maggie McGary claims it’s not so easy for associations to adopt content marketing — contrary to what I said in a recent presentation to the American Society of Association Executives (ASAE). She cites silos, technology, and staff skills as the three reasons it just doesn’t work. Robert and I talk about the key element that’s missing at most associations that makes it hard to implement content marketing and what needs to change for them to be successful. Adidas’ Watershed Moment for Content Marketing (13:28): An article published on the U.K.’s Marketing Magazine website takes a deeper look at how Adidas built engagement using real-time content marketing during the World Cup soccer tournament. Robert praises the shoemaker’s “content first” approach, while I discuss other events where this type of strategy could work really well. Instagram Closes in on Facebook’s Marketing Territory (23:44): This article from Adweek cites a study by social media agency Sharablee that shows the number of brand posts year-over-year is growing twice as fast on Instagram as it is on Facebook. It’s also achieving three times the engagement per post compared to Facebook. Adding to the Facebook discussion, Robert and I also explore the invasive terms of service of Facebook’s Messenger service, which the social network is pushing consumers to adopt. Content Marketing Goes Deep on “Dark Social” (31:48): Social distribution via “share” buttons doesn’t paint a complete picture of how consumers interact with content, according to this article from CMO Australia. People who copy and paste links via email, instant messaging, or through other “narrowcasting” channels aren’t counted as shares. In some cases, the audience for this “dark social” content can be many times the size of the trackable audience. Robert and I recommend two tactics you can use to get a more accurate picture of audience interaction with your content. John Oliver on Native Advertising (36:51): Comedian John Oliver rants about native advertising in his latest Last Week Tonight piece on HBO, calling it (among other things) “recycled bovine waste” and bemoaning the blurred line between editorial and advertising, especially online. I explain why native advertising has become a controversial issue lately, and outline the steps publishers and advertisers need to take to avoid a backlash against it. Robert’s take? Advertiser and sponsor influence over news and publishing has been going on for a very long time. What’s changing is the business model, not the influence itself. This Old Marketing is sponsored by Emma — email marketing for the modern brand, featuring mobile-responsive templates, social integration tools, and concierge services. 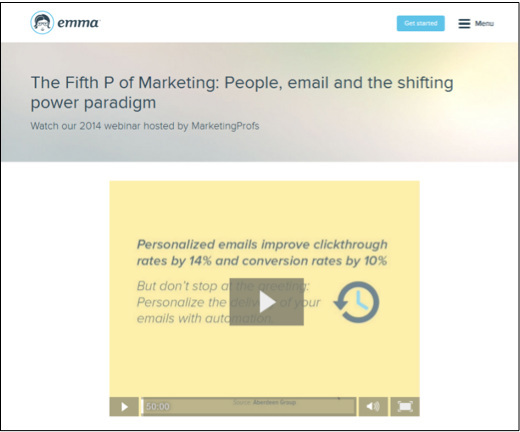 Emma is promoting a new webinar entitled The 5th P of Marketing: People, Email and the Shifting Power Paradigm, which shares best practices and proven strategies for creating small but meaningful conversions at every point in your multi-channel marketing strategy. You can view it at http://bitly.com/myemma5. Robert’s Rant: Designer Stefan Sagmeister, in this video on Juxtapoz.com, shares his distaste for the term “storyteller,” which he claims has been co-opted to the point where it has become a meaningless buzzword.Yet, he claims that, because he is a designer, he has the right to call himself one. Robert explains the issue he has with Stefan’s flawed thinking about this term. Joe’s Rave: Last week, I had an opportunity to tour the Jack Daniels Distillery in Lynchburg, Tenn. I was amazed at the hundreds of products this company produces from a single process: the one used to produce Black Label — all of its other liquors are derivatives of it. As content marketers, we can learn a lesson from this historic company and how it has organically created extensions of its core product: Think story first and then decide which media should be used to distribute it. Aircraft Owners and Pilots Association: This week’s This Old Marketing example is the Aircraft Owners and Pilots Association (AOPA), whose members are commercial and private pilots. From the start, AOPA has fought to protect the freedom to fly while keeping general aviation safe, fun, and affordable. It now has over 600,000 members. 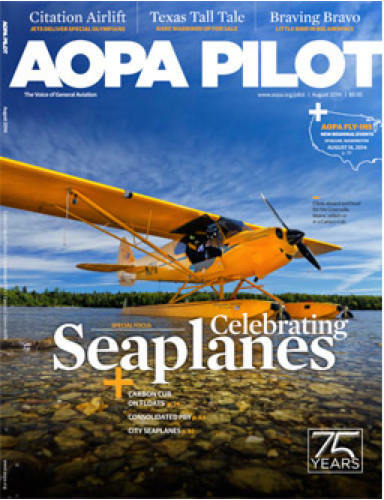 This progressive association has published AOPA Pilot magazine, a member-only resource, since 1958. In the early 2000s, AOPA formed the Air Safety Institute, which is dedicated to promoting pilot and passenger safety. Its section of the AOPA website includes a magazine, videos, online learning, a blog, best practice reports, and more. It’s an excellent example of an association taking a long-term, consistent approach to content marketing.